Filter Shift describes the notion of unconscious filters: how we create them, how we perceive the world through them, and how they control us. The vast majority of are persistently held back by our unconscious biases and misperceptions, even with the best of intentions. 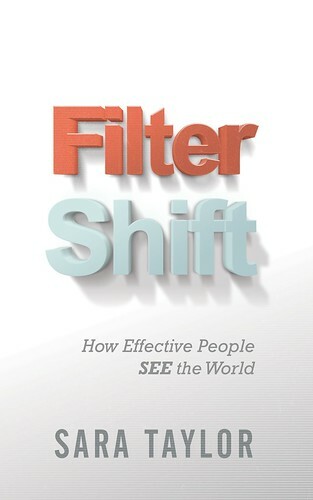 Filter Shift explores the unseen dynamics that get in the way, providing a series of blueprints for success. 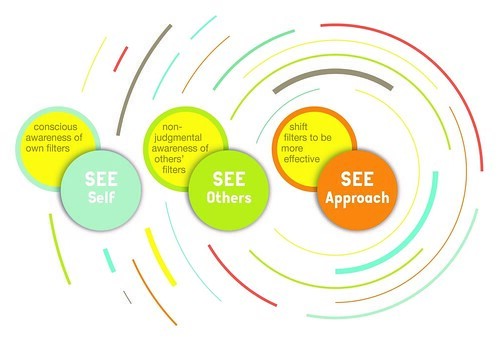 When it comes to our interactions across difference—frankly, all interactions—an unconscious optometrist chooses our filters based on false prescriptions we write for ourselves. This process is completely natural; our brains are wired to react this way. Our perception of any given situation is filtered quickly and unconsciously. We don’t even realize a filter through which to view an interaction has been preselected without our conscious participation. These false prescriptions are rooted in our misconceptions of our own cultural competence. 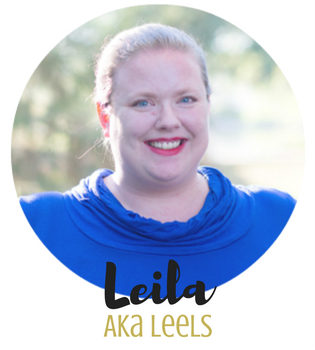 Recognizing them for what they are is an essential first step in learning to Filter Shift. Every interaction is an interaction across difference. That means we all experience this, all the time. I’m misled if I think this person is just like me because I don’t see any obvious differences between the two of us—we’re the same race, gender, age, etc. Yet we are different because our filters are different, and it is our filters that determine how we see and respond to each other. If we allow ourselves to be lulled by external similarities, we easily miss the broader spectrum. Here we make statements like “I’m around differences all the time. I have a gay couple for neighbors, my mom has lived with a disability all my life, and my best friend is black!” The inherent belief in these statements is that “I am exposed to difference, therefore I am competent in my interactions across difference”—as if a new skillset is in the air when differences are present and all we need to do is breathe it in. The ability to interact effectively across difference, like any other complex skill, needs to be consciously developed. Think of it in comparison to developing math skills. You would never assume a child could learn math if you just sat them in a room all day where mathematicians were present. As with math, we need intentional, developmental learning and practice to nurture this skill. Prescription #3: I get this stuff; it’s my coworkers (or spouse or neighbors) that don’t! Most people, if asked, would say that they do pretty well interacting across difference—that they are already fairly competent. Yet the reality is that only a very small percentage of us actually are competent. This ever-present gap between our perception and reality leads to much of the confusion and conflict that happens as we interact across difference. If I believe I “get it” and still experience situations where interactions with others are ineffective, then it must be theirissue. This prescription is particularly tricky in that, while widely believed, it goes unspoken more often than not. It’s the notion that people from marginalized groups—especially people of color and women—are somehow more skilled at interacting across difference, that somehow the experiences tied to our identity inherently increase the reality of our perceptions. In actuality, that’s simply not the case. Going back to the second prescription, we need to deliberately develop the ability to Filter Shift, no matter our cultural origins or identity. This comment is typically heard as an individual is trying to frame him/herself as a generally good person. The assumption is that only bad people have biases while in actuality we all have biases. Biases are morality-neutral. They’re a natural product of our brains working to categorize and make sense of the world for us. Eliminating bias is an unattainable goal. Instead, to be more effective, we need to recognize and understand our biases and their impact on how we see and operate. We can only do that by acknowledging that we have biases in the first place. We’ve all felt discomfort at one point or another in our lives as we have encountered difference. It may have been the first time we ate dinner at a friend’s house, or the first time we walked into a new workplace, new neighborhood, or new country. The fallacy here comes when we believe that as the discomfort dissipates, a generalized competence somehow materializes. However, just because we’ve become comfortable in a particular situation, or with a particular person, doesn’t mean we’ve learned how to be effective outside of that single situation or with anyone other than that particular individual. Sara Taylor is a nationally-recognized speaker and consultant specializing in Leadership and Diversity. With over 25 years of experience, Sara balances her real-life stories with research-based theories to deliver for her reader what she delivers for her clients: Aha! moments with tangible strategies for practical application. 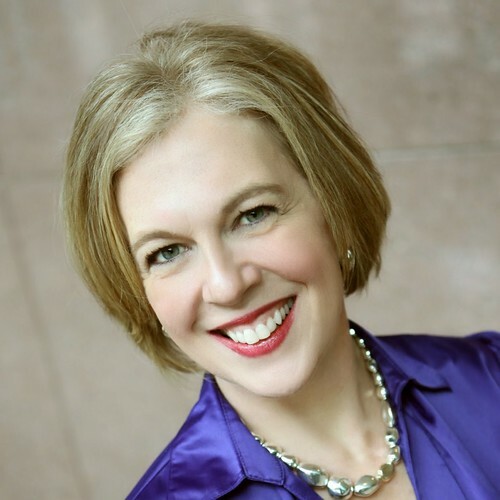 Sought after as a thought leader in her field of Cultural Competence, Taylor adeptly explains complex concepts and theories with simple, straight-forward language drawn from with real-world examples and stories, helping individuals and organizations increase their success and create greater effectiveness. Sara holds a Masters degree in Diversity and Organizational Development from the University of Minnesota and, prior to founding her firm, deepSEE Consulting, was the Director of Diversity for Ramsey County, Minnesota, as well as a Leadership and Diversity Specialist for the University of Minnesota. She and her husband Miguel have four kids and live outside of St. Paul, MN.